When you need to make a purchase, do you automatically reach for your credit card? If so, you seem to be in good company. According to credit card research firm CardHub.com, Americans added $18.4 billion to their debt load in the second quarter of 2011. That’s a 66% increase from the debt accumulated during the same time period last year and 368% more than was added in 2009. DO know the power of credit. You’ll need to build a good credit history to be approved for loans, secure housing and make a large purchase, like a car or house. DO read the fine print on the credit application. Interest rates, credit limits, grace periods, annual fees, terms and conditions will be different with each card. DO pay at least the minimum payment, but feel free to add more to pay off your balance quicker! If you’re having trouble making the minimum payment, contact your creditor to assess your options. DO order a copy of your credit report annually. You have the right to know what is in it. Click here to get a free copy of your credit report. DON’T feel pressure to get a credit card. You can even opt out of receiving prescreened offers by calling 1-888-5-OPTOUT or visiting OptOutPrescreen.com. DON'T pay your bills late. Late payments can affect your credit rating and increase your balance. DON'T spend more than you can afford. Credit is a loan and has to be repaid. 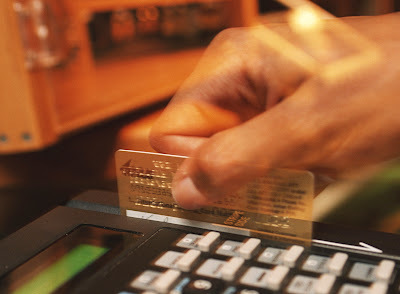 Avoid reaching your credit limit or "maxing out" your cards. DON'T ignore the warning signs of credit trouble. Do you pay only the minimum balance, pay late, use cash-advances to fund daily living expenses or transfer a lot of balances? You might be in the "credit danger zone." Contact your local Bank of Luxemburg to get recommendations on area financial counseling organizations. DON'T share your credit card number. Never give out personal information if you didn’t initiate the transaction. Be aware of identity theft and phishing scams that ask for credit card numbers. You can file a complaint with the Federal Trade Commission if you think your identity has been compromised. Which credit card tip works best for you? Tell us in the comments or leave a tip of your own!